It’s well documented that free music is available in truckloads online. But if, like us, you don’t have all day to go through thousands of Youtube videos, you’ll need to know what’s what. Call it a Fast Track to good music. Here are a few sites that are right on the money when it comes to cutting through crap and serving you up the cream of the musical crop! Enjoy – and leave some good sites in the comments! ZANE LOWE is a pretty epic music producer and radio dj, who presents his show with a certain pazazz and crazy music obsession that you’re unlikely to find elsewhere. Even if you don’t really like a tune at the start, he’ll probably convince you otherwise in a sentence. 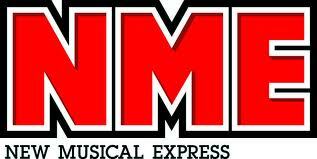 The well-established music site NME Magazine is a market leader for all things ALT, mainstream and new. They have a great music news section too, which keeps you up to date on the movings and shakings of the music scene. The ‘online radio’ site 8Tracks is made up purely of pre-made playlists. Users generate these lists, sorted by popularity. It’s a sort of ‘survival of the fittest’ of the playlist world. It also has a lovely feature where you can choose a playlist according to your mood or activities. Brilliant for Workout playlists when you want to turn it over daily without having to waste precious time updating your iTunes all the time. 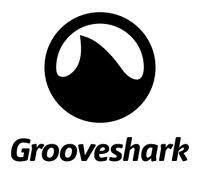 If you want to make playlists for your laptop without having to reef through online music stores, why not sign up to GROOVESHARK.com? It’s great for searching out individual artists, hitting play, and letting it do its lovely thing. You can taylor-make your own playlists if the mood takes you. It even has a pre-made lists section – sharing other people’s playlists which you can rob. AND on to of all that, it has hot tips for the season. Best day! 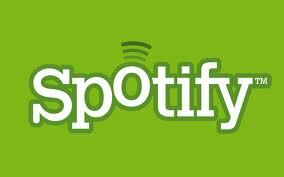 And of course, the old classic – SPOTIFY.com. Once You’ve gone through the rigmarole of downloading it and logging in, it’s quite possibly the best engine for recommending songs to friends on Facebook and Twitter. Hopefully this short list will send you on your way to finding musical bliss. Be sure to leave your recommendations in the comments, or tweet us at www.twitter.com/serenitybtweets now!